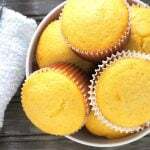 These moist and buttery cornbread muffins are addictive treats that you can make in no time. With a few ingredients and simple preparation, this recipe is definitely a keeper. Plain, unadorned muffins go by fast in our house. I observed that my family will reach for a baked treat that is naked and bare more than they will reach for an iced cupcake. 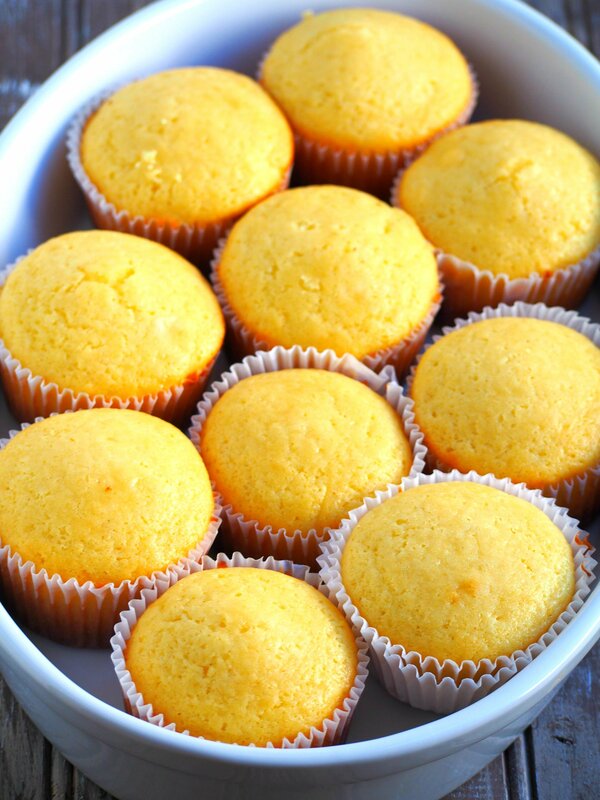 For that reason, cupcakes will stand on our counter for days while these cornbread muffins are gone overnight. 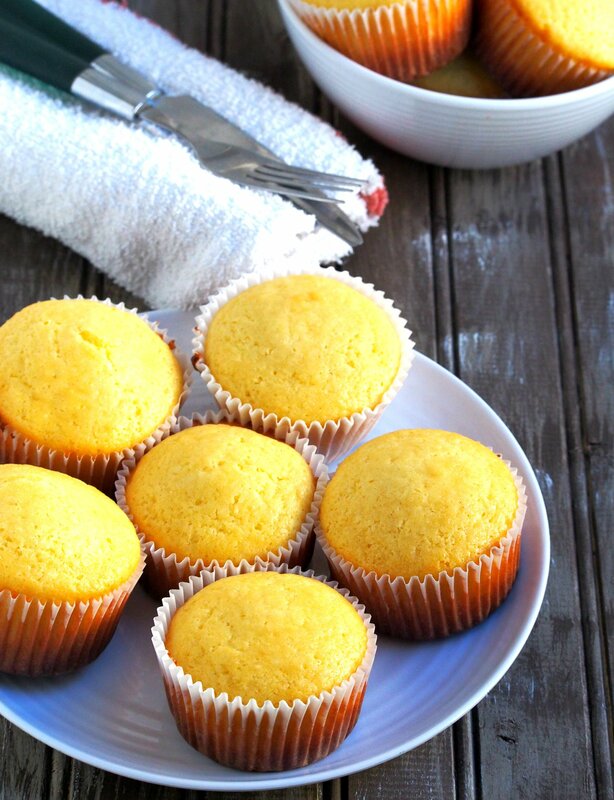 These cornbread muffins are what you need for simple, weekday treats. These are the ones you reach for when you need a quick bite with your coffee. Or if you need some light indulgence. They are not necessarily too indulgent but enough to give you a weekday sweet fix. 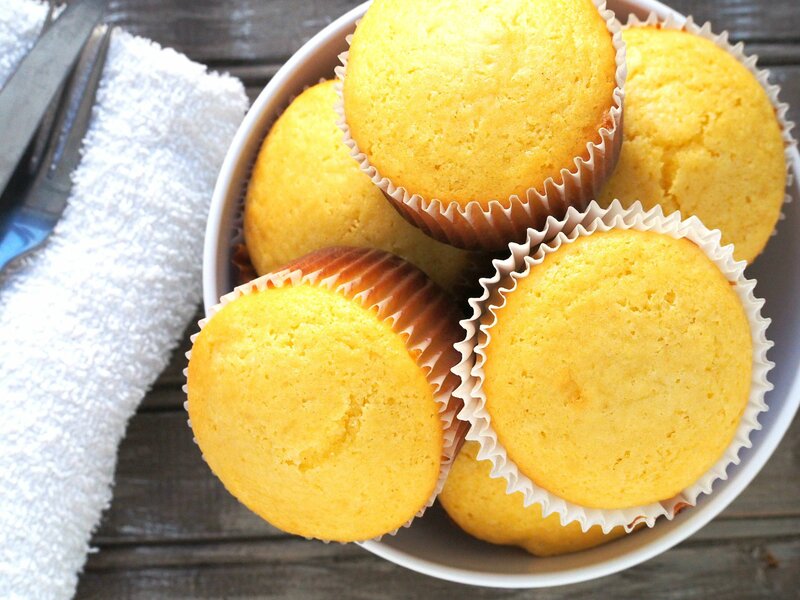 These cornbread muffins are an easy whipping, perfect-for-weekdays- kind of baking. 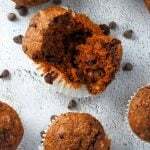 I love that making muffins such as these do not require the stand mixer. Simple preparation, a few dirty bowls. Definitely no kitchen hurricane. They are moist, buttery and appropriately sweet. Even those who do not have a sweet tooth will find these delightful. Simple ingredients. You may not have the cornmeal at hand but the rest of the ingredients are pantry staples. These are a family favorite. They win over brownies, cookies, and cakes most of the time. 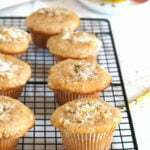 Squeeze in baking these cornbread muffins sometime and you will find making them more and more often. 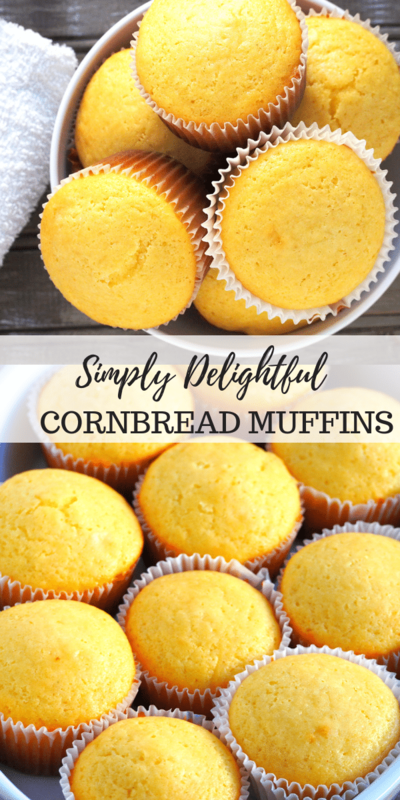 Moist and buttery cornbread muffins that are simple and easy but absolutely delicious. Preheat oven to 400F. Line a muffin pan with cupcake liners. 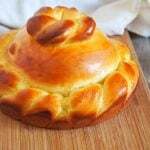 In a large bowl, combine flour, cornmeal, baking powder, sugar, and salt. In another bowl, whisk together the wet ingredients: eggs, milk, melted butter, and honey. Add the wet ingredients to dry ingredients and stir just until combined. Pour or spoon batter equally into prepared 12 muffin liners and bake until the muffins are golden, about 15 minutes. I am a corn bread fiend, especially during soup season. 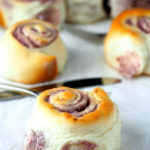 This recipe looks SO good- and love how simple it is! Need to try! Thank you, Carly! You will definitely love these! Made this recipe , they turned out great , l added some fresh blueberries to the batter , they were yummy ! Thank you so much, Claire! The blueberries is such a great addition!